Mass Murder in Norway: The End of Multicultural Opposition? Bruce Bawer, literary critic, author, and political commentator, has been quite outspoken through the years concerning the very real dangers of the rising tide of Islamification throughout Europe. As a gay man living in Oslo, Norway, Bawer’s political and social observations as an ex-patriot American hunkered down within the fire zones of European multiculturalism give his opinion pieces much more power and credibility than the soppy liberal soliloquies coming out of US universities. And this weekend, Bawer has written an article over at Pajamas Media addressing the political fallout for multicultural opposition in Norway following the horrific mass murders there last week. Bawer takes a very depressing view of the outlook for moderate and conservative voices in Norway, citing just how merry the media there has become in castigating conservative opposition by tainting it with the ever ready Islamophobia epithet. But it is early days yet for this post-traumatic tragedy to be summed up, finalized, and conveniently classified by the progressive elites and their media myna birds. There are intense rumblings of dissatisfaction with the multicultural policies of the EU from its every-day citizens. Encouraging Muslim immigration and non-assimilation while fostering phobia policies as a means of stifling dissent from the indigenous folks, has given rise to a groundswell of resentment. Instead of happily rubbing their hands together in girlish glee over the presumed politics of this mass murderer, the liberal elite should be a wee bit worried that there just might be other potential crazed political killers among them who view the progressive establishment as nothing more than modern day Vidkun Quislings. Here’s my comment to Mr. Bawer’s article on the aftermath of this act of insanity. It was only a matter of time before some individual or group was bound to go violent in what they would see as their own holy war against home-grown quislings. The surprise is that it took this long. Yes, the powers that be will crack down even harder against anyone they deem out of step with their anti-semitic brand of multiculturalism. And perhaps they’ll bury opposition even deeper for some time to come. But I believe there is a growing resentment and fear, among many native Norwegians and Europeans in general, of what is now being seen as a genuine threat to their very Western way of life. The elite in Europe may run things, but like all ruling classes, they’re usually the last to sense the directional shift in the winds of change. And I wouldn’t assume that this act of terrible violence will automatically be a major blow to those struggling to preserve Western culture in Europe. Look what came out of the 9/11 tragedy here in the US–certainly it woke many of us up to the dangers of radical Islam but it also sparked a major campaign of appeasement. I think there will be lots of introspection within the Norwegian population, and the public courtroom trial of the man accused of these horrendous deeds will, if nothing else, keep the multicultural topic front and center for quite a while. This entry was posted in Political/Social and tagged bombing, Bruce Bawer, gay, multiculturalism, Norway, pajamas media, shooting, Vidkun Quisling. Bookmark the permalink. 5 Responses to Mass Murder in Norway: The End of Multicultural Opposition? Oh yes, this is a god-send for the “multia” alright. 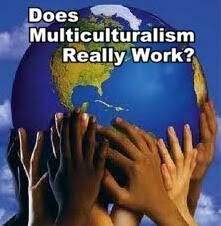 I would imagine ( no statistical data) that many Norwegians are uneasy about multiculturalism to a greater ot lesser degree. This evil and/or deranged man is Norway’s Timothy McVeigh, and Norway’s small population will be inundated with even more “politically correct” multicultural propaganda. It will be interesting to see how it plays out politically there. Certainly, the ruling class and the media will do all they can to demonize any opposition to their multicultural policies, using this tragedy for all its worth. But I wonder how it really plays out within the general population? Out of his EXTREMNE love of his country, the shooter allowed his EXTRTEME HATRED act out this EXTREME EVIL DEED. We all need to get back to MODERATION in all things. Whether we are left or right, we all need to come towards the middle a bit. The HATRED ate his heart and mind and innocent people died because he and others like him allowed extremeism to engulf them. So can Multi-cuturalism work…only if we approach it in a common sense way. I have seen it work. I am first generation in this country…I experience multi=cuturalism growing up in NYC, in my own neighborhood…it can work, but each side has to give up a little of themselves, to each other, in order for that to happen. My prayers and thoughts go out to the victims and their families in Norway. Unfortunately, liberals think that radically different cultures can somehow live side-by-side without the need for some type of assimilation, some foundation of shared values and a common language. Such notions are a sad formula for disaster.